Simple and responsive WordPress theme. 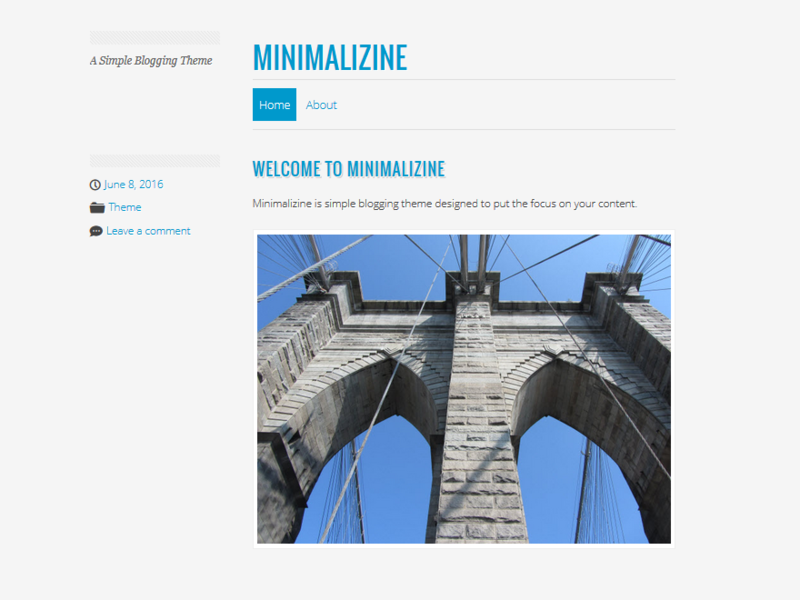 Clean blogging theme, good for you who wants focused on the content. It supports 3 widget areas above the footer, and 11 social media buttons widget.